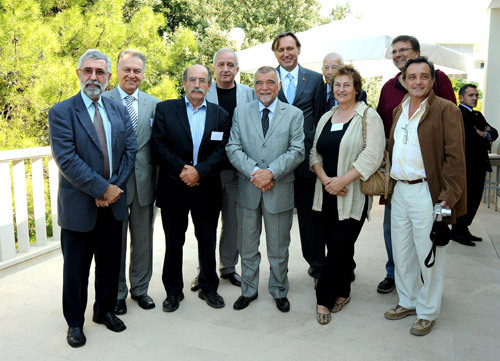 The 20th session of the Igman Initiative on Present Relations among the Countries of the Region –Incentive or Drag on the Way to the EU was held in Supetar on the island of Brač (Croatia) on October 3-6 2009. This session of the Igman Initiative gathered a great number of high-ranking politicians and representatives of the civil sector from the former SFRY. Among them, President of the Republic of Croatia Stjepan Mesić, Speaker of the Parliament of Montengergo Ranko Krivokapić, Mr Milorad Pupovac, Mrs Vesna Pusić attended the meeting, as well as others. President of the Presidency of Bosnia and Herzegovina, Željko Komić was to attend the meeting, but due to ethnically motivated incidents in Široki Brijeg (B-H), he had to cancel his participation on the day of its beginning. There was no official from the Republic of Serbiar at the Brač gathering. 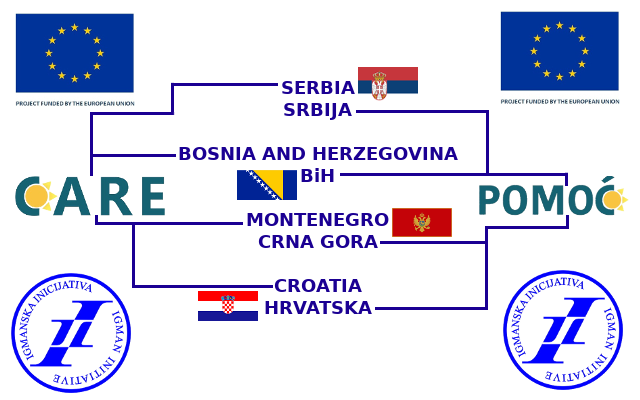 The assessment of the participants of the 20th session of the Igman Initiative is that the situation in the region is far from being normalized as it has was expected after the end of wars on the territory of the former Yugoslavia and that political tensions exist not only in Bosnia and Herzegovina, but in other countries and in bilateral relations as well. Within the 20th session the Summer School of Democracy was held with the participation of forty young people from Serbia, Croatia, Bosnia and Herzegovina and Montenegro. The topic they dealt with was “Is Identity without Hatred and Intolerance Possible?” The Summer School of Democracy is held every year on Brač and is co-organized by the Civil Committee for Human Rights from Zagreb and Igman Initiative. This year’s organization was supported by the Embassy of the Kingdom of Netherlands in Zagreb. 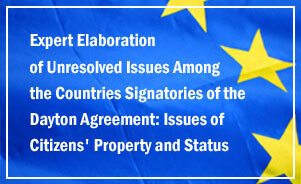 Two special events took place during the 20th session of the Igman Initiative. The first was presentation of a special recognition by the Igman Initiative to the President of the Republic of Coratia Stjepan Mesić. This recognition was awarded to President Stjepan Mesić for his recognition of potentials of complementary possibilities of non-governmental organizations involved in human rights protection and promotion of democracy on the one and politicians holding highest state offices on the other hand, and he himself as president of the Republic of Croatia has been promoting and activiely participating in builiding up this cooperation. 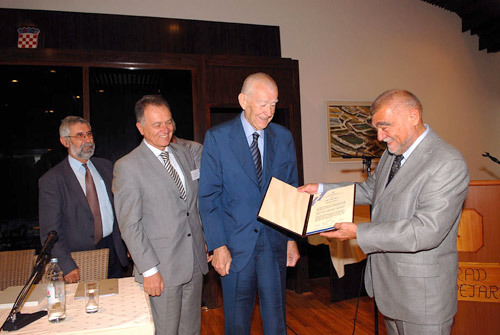 With such an attitude he specifically contributed to the affirmation of the Igman Initiative and its activities aimed at faster normalization of relations among the countries signatories of the Dayton Agreement. The other special event that marked the 20th session of the Igman Initiative was setting up of an Igman Initiative Youth Forum. Set up with an aim of promoting the ideas of the Igman Initiative among the young people in the region and a wish to continue with the Igman Initiative activities in the period to follow, this forum is meant to gather young people from the countries signatories of the Dayton Agreement and its activities are aimed at promotion of regional cooperation and normalization of relations, democracy, tolerance and observance of human rights. The Youth Forum is to conduct its activities on the territory of countries signatories of the Dayton Agreement and will be a constituent part of the Igman Intitiative. 20th session of the Igman Initiative was supported by: Rockefeller Brothers Fund, Mott Foundation and Friedrich Ebert Foudation – Sarajevo Buerau.